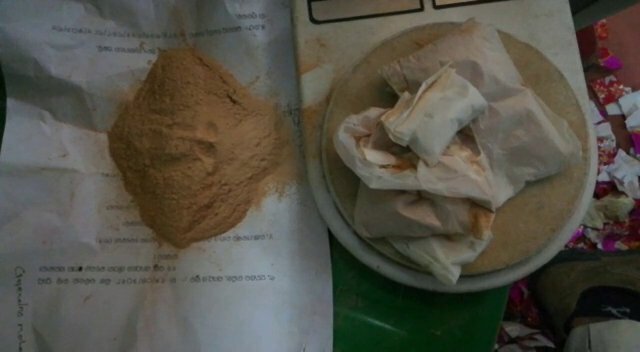 Bhubaneswar: At least two persons were arrested after excise department sleuths seized brown sugar worth over Rs 3 lakh in two separate incidents near Baramunda bus stand and Indradhanu market in the city today. Excise sleuths also seized Rs 27,000 cash from their possession. Acting on specific intelligence input, Excise sleuths intercepted the two youths near Baramunda and Indradhanu Market. During search, brown sugar worth Rs 3 lakh were found in possession with the two persons. They were immediately taken into custody. They are being interrogated now. Excise department sleuths suspected that the racket spreads from Balasore to Bangladesh via Kolkata.